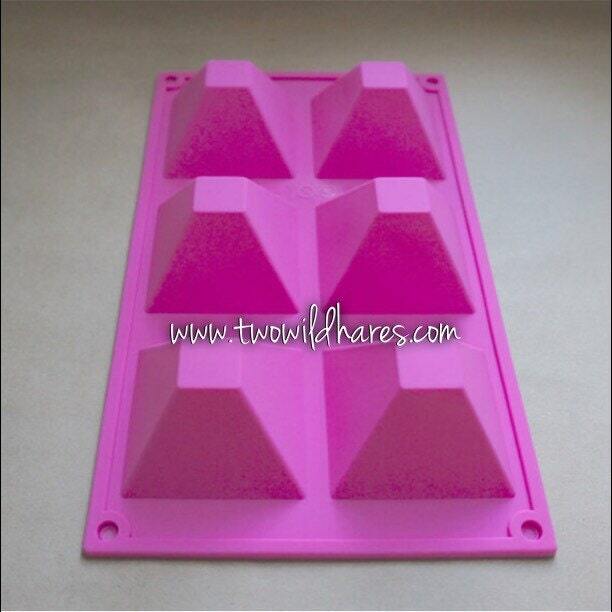 This pyramid soap mold holds about 3.5 oz per cavity, 21 oz total. They are 2 3/4 square on the wide end and 1 5/8″ deep. This mold would make the most adorable jelly soaps. 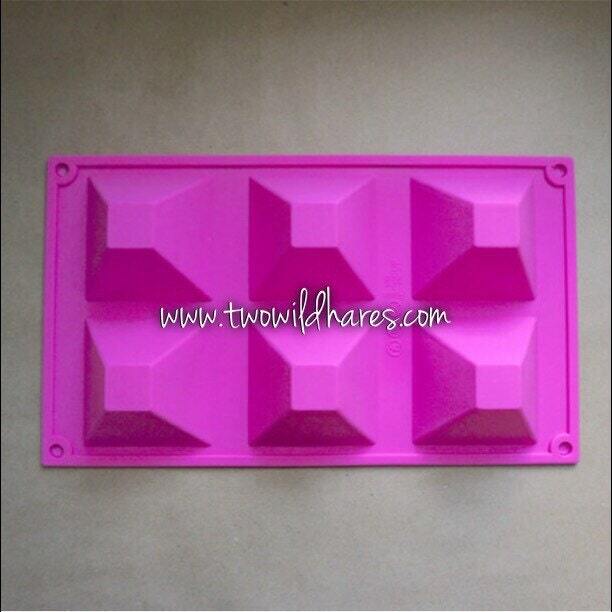 It works well for cold process or melt and pour soap and lotion bars as well. Each cavity is like a pyramid with a flat top. They are unique and a nice size to hold in your hand. Add some fun shapes to your soap line up! 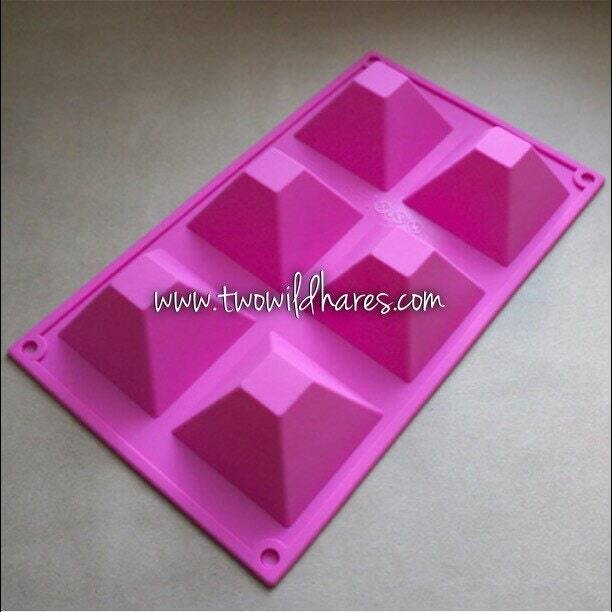 The mold is microwave & freezer safe silicone, made with food grade silicone. It’s reusable & nonstick, easy to use & clean. Temperature range is -40F to 446F. Just wash with warm soapy water to clean it between uses. It comes in a variety of colors which will be sent randomly. This listing is for 1- 6 cavity mold. Other products shown are examples only.